Will investing $X in this new feature actually pay off? What should we propose to consumer group X if we want to sell to them effectively? These are just a few questions a go to market strategy is designed to answer. 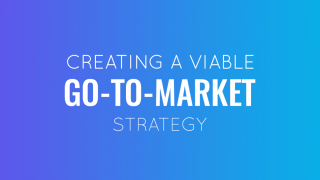 A Go-to-Market Strategy (GTM Strategy) is a tactical framework that breaks down all the steps necessary to succeed in a new market or with a new audience segment. You can create GTM plans for pretty much any entrepreneurial endeavor – new product/services launch, startup launch or brand re-launching, or even create a plan for expanding to a brand new market. 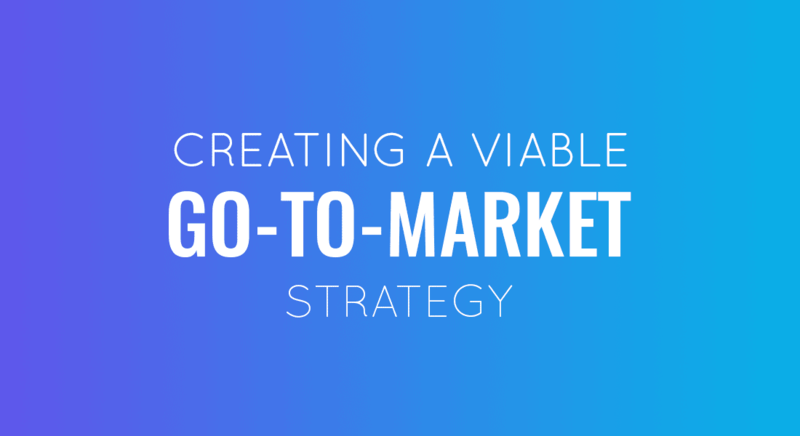 To some extent, a Go to Market plan is a more crystallized take on your marketing plan, but it comes with a more detailed scope and a higher focus on just one product or services. Typically, it addresses the execution of a specific growth strategy for pushing your business forward. 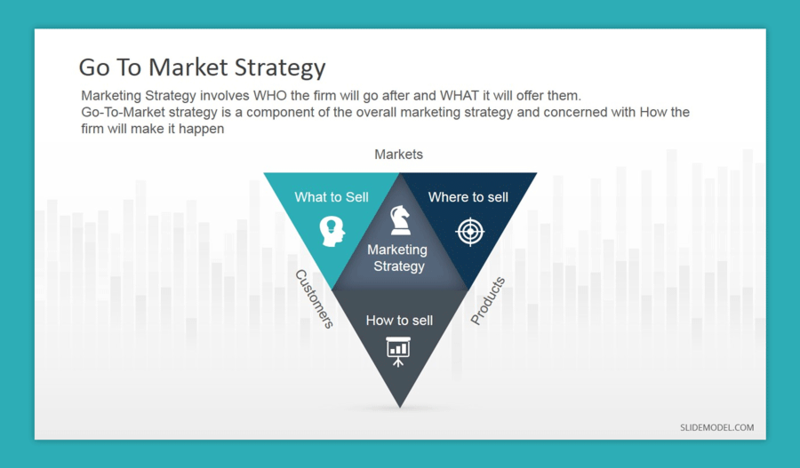 When Do You Need to Prepare a Go-To-Market Strategy? Penetration: Your business wants to sell more of existing products/services at your primary market. You already know your consumer base/market well enough, so the risks are low. At this point, you will need to prepare a new marketing strategy and a new marketing plan for reaching more customers. Expansion: You want to introduce new products/services to a new market. To succeed and minimize the risks of failure, you will need to carefully study the new market. Hence, it’s worth creating a comprehensive marketing strategy, GTM and a marketing plan. Innovation: Planning to launch a brand new product/service in your existing market? You will have to carefully weight the pains, gains and the value this new offer will create for your business. Prepare a GTM, a marketing strategy and a marketing plan. Aggression: Entering new markets with new products/services? Aggressive growth strategy assumes high risks and potentially high rewards for businesses. To pull of conquest, you will need to study the new markets and work out the best deliverables for them. This approach also requires you to develop a marketing strategy, marketing plan and GTM. Bonus tip: use Ansoff Growth Matrix to analyze your market strategy and determine the various risks associated with pursuing one or another Go To Market plan. Strong business case: Why are you launching this particular product or plan to enter a specific market? What are you hoping to gain as a result? Market strategy: Where will your new offer sit and how do you plan to engage customers in the new market? Unique value proposition: What sets you apart from the competition? What will make the consumer choose you over another brand? Product/Brand positioning: How will customers view your product in regards to others e.g. do you plan to position yourself as a luxury alternative to service XYZ? Messaging: What are your brand’s main talking points when it comes to solving customer problems? Narrow it down to three very specific issues you will tackle. Sales and support model: What tools, resources and materials will you need to promote, support and sell your offering? Customer journey: How does the typical sales cycle look? 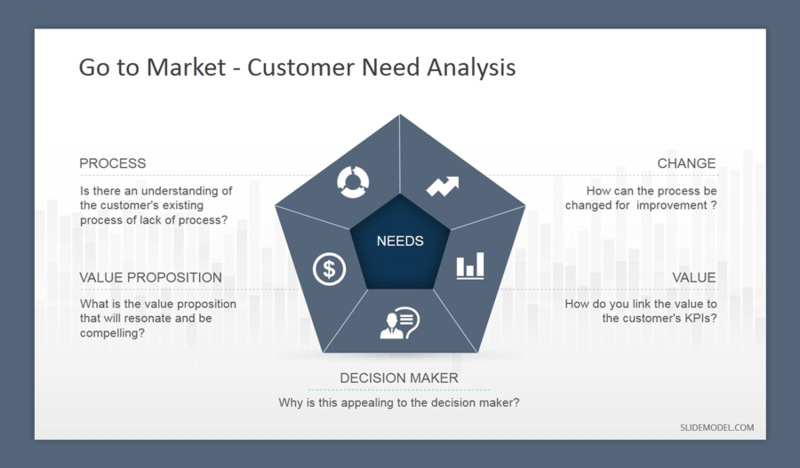 What are the common buyer’s behaviors at different stages of their decision process? What can you do to meet them halfway? Customer Personas. How does your ideal buyer look – age, demographics, income, shopping preferences? Product use cases. How will your target audience use your products/services? Pricing: How will your pricing strategy work? Do you plan to use discounts/promos to stand out in the new market? Customer Acquisition: What would be your sales model and approach to generating new business? Will you operate as a DTC (Direct to Consumer) brand or through resellers? Customer engagement and retention: How will you nurture repeat business, increase the lifetime value of customers (LTV) and re-activate/re-engage existing clients? Product Roadmap: How will you develop and introduce a new offering to the market? How will you decided on product improvements or added features? Budget and Resources + KPIs/Metrics: Decide on the key milestones in your go to market strategy and set KPIs for measuring the success of your initiative. This is a basic go to market strategy framework to follow. Each of the steps assumes a deep level of research and preparation, so we’ll dwell further on them in the next section. Before you spell out your plan and turn it into a detailed Go to Market strategy presentation, you will need to do some deep level research. A Go to Market strategy is a relatively short document, but it does encapsulate a lot of finer details. 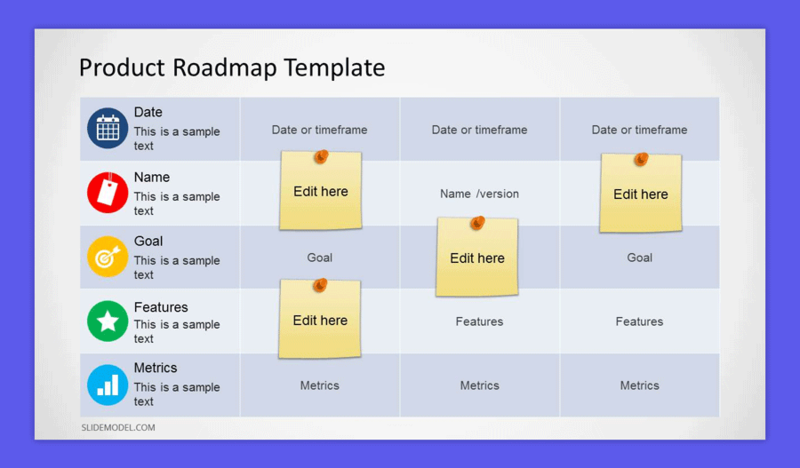 To avoid the overwhelm, it’s best to take a simple Go to Market strategy template (similar to the one outlined above, which is available for Microsoft PowerPoint and Google Slides) and start piling up your data step-by-step. The first thing you’ll want to cover is your Product-Market Fit. Strategize what problems your offer will solve for customers and how you will validate their need for that specific solution. “Umbrellas for lefties” may sound like a good idea on paper because there are a lot of left-handed people and it rains a lot in your state…but do lefties actually need a special umbrella? Perhaps not. Coming up with a precise Product-Market may be a research-heavy stage, but failing to cover it properly can translate to failure. According to CB Insights analysis, almost a half (42%) of startups failed because their solution didn’t address a valid customer concern. You will need to develop a clear understanding of your target audience and individual buyers. Without this, you will fail to create an actionable, and ROI-driven marketing strategy and engage with your prospects. Audience research may take time as you’ll need to schedule interviews, and perhaps run several surveys with focus groups, but in the long run, this effort pays off – 71% of businesses who exceed their revenue and lead gen goals have documented customer personas. Whether you are entering a new market or prepping for a new product launch, you will need to know who you are standing against at the battlefield. Your market strategy should address the current market trends (plus emerging ones) that may affect your product launch, as well as the state of competition and who other players will likely respond to your entry. What will be your channels for distributing your products? Do you plan to be digital-only or set up a storefront? How will your sales process work? Create a list of preliminary sales strategies templates that you will later validate with your team and stakeholders. Once you are done with the preliminary analysis and data gathering, you can move on to populating your go to market framework with precise insights. Speed up and improve the process of finding short-term accommodation. Offer landlords a quick way to earn some side-income by renting a spare room. What problems it will solve for the customer (relevancy). What benefits they will get as a result (quantifiable value). Why the customer should buy from you, and not from your competitor (unique differentiation). [Target Audience] – for shoppers who love a great bargain. [Marketing strategy] – Plugin X is an affordable easy-to-use SaaS tool for collecting discounts. [Message Strategy] – the advertising of Plugin X should emphasize the convenience and time-saving on using the tool, and appeal to the FOMO of missing a sale. The next item of your go to market plan checklist should be pricing strategy. Pricing is both a financial and a branding decision. Certainly, your pricing tiers should correspond to your business model, but they should also indicate what kind of value you are delivering for that figure. What kind of message will your price communicate? Are you are offering premium quality for the premium costs? Or will you try to beat your competitors by offering a cheaper alt solution – the route most go to market strategy for startups embrace? Sales tools, resources and techniques: how will your team engage with the prospects? What tools and tricks will use to achieve their goals? Consider creating a quick outline of your future sales funnel. Customer acquisition strategies. Do you plan to rely on inbound or outbound marketing for getting customers? List up all the sales channel you plan to leverage. Training and Support: How will you prep your sales and CS teams to ensure that they know enough about the new product/market and sell it effectively? Quantifiable. You can attach a number to it or measure the results in another way. Meaningful. The metric is tied to a specific business goal most stakeholders agree on. Motivational. Your team has a clear benchmark they can aspire to reach. Operational. You should be able to quickly measure the effects of the changes you make. GTM strategies can also include additional sections such as a product roadmap, budget/resources and product support. You may want to include these as well for a greater level of insights depending on your needs. A Go to Market strategy helps you create a clear path for launching new products/services and carefully assess all the aspects of your future operations. Apart from solidifying your business vision, it helps you look at your offerings from the customers’ perspective and work out the optimal presentation and marketing of your new products. Your GTM strategy should help you minimize the risks of blowing up the launch and, as a result, the customers’ trust and affinity towards your brand.